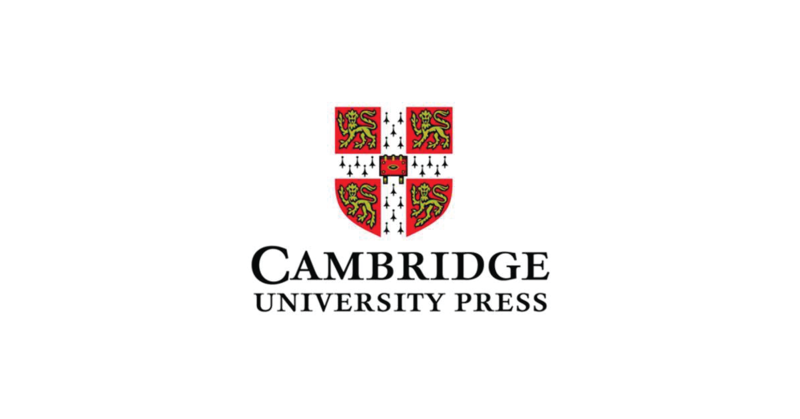 Atla is excited to announce a full-text agreement with Cambridge University Press (CUP) that will add six of their religion titles to the AtlaSerials® (Atlas®) and AtlaSerials PLUS® (Atlas PLUS®) collections. This agreement is the most recent step in a relationship that stretches back to Atla’s earliest indexing days. Three of the newly licensed titles (New Testament Studies, the Scottish Journal of Theology, and the Journal of Ecclesiastical History) were indexed in Atla’s first print bibliography back in 1949. Since then many more titles have been added to the index, now known as the Atla Religion Database® (Atla RDB®), making CUP one of our most tenured partners. Learn more about Atla's subscription research tools. CUP has been publishing religion scholarship since 1584 and is one of the oldest and most trusted authorities in the field. They currently publish over 380 social science and humanities journals in addition to their extensive monograph publishing programs. CUP is widely recognized as a leader and innovator in the journal space, consistently publishing essential scholarship both in their long-running publications and in high-quality new ones. For religion researchers, the newer publications such as Politics and Religion and Religion and American Culture have made a scholarly impact in a short amount of time. Users of Atla products have often voiced their enthusiasm for CUP content, and we’re grateful for the opportunity to provide this essential scholarship in full text. BCH has been in print since 1951 and includes the predecessor titles Biographical Studies, 1534-1829 and Recusant History. It is an “a forum for innovative, vibrant, transnational, inter-disciplinary scholarship resulting from research on the history of British and Irish Catholicism at home and throughout the world.” Covering topics from the 15th Century through to the present day, BCH welcomes research from multiple points–both domestic and international–providing readers with a unique scope with which to view the subject area. JEH is a leading scholarly publication on the history of Christianity. The journal’s vast scope covers “cultural, institutional, intellectual, political, social and any other relevant form of history; to all periods from ancient to modern; and to all regions of the world.” Covering such an immense subject area allows the journal to take both a high level and granular view, permitting it to include poignant, interesting, and varied research that will not be found elsewhere. Founded in 1965, Religious Studies is a periodical dedicated to “the problems of the philosophy of religion as they arise out of classical and contemporary discussions and from varied religious traditions.” The journal is published semi-annually and contains content related to the philosophy of religion. Started in 1998 R&AC is a scholarly examination of the intersection of religion and other facets of American culture. The journal is “devoted to promoting the ongoing scholarly discussion of the nature, terms, and dynamics of religion in America” and offers specific scholarship on this societal interplay that cannot be found in other publications. All quotes taken from the journal home pages at Cambridge University Press.